Shaukat Hussain Rizvi was born in 1914 in Azamgarh in the state of Uttar Pradesh, India. He was a Pakistani Film Actor, Film Producer, Film Director & Cinematographer. 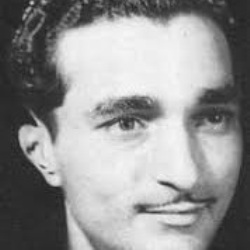 He died on 19-08-1998 in Lahore in the state of Punjab, Pakistan at the age of 85.